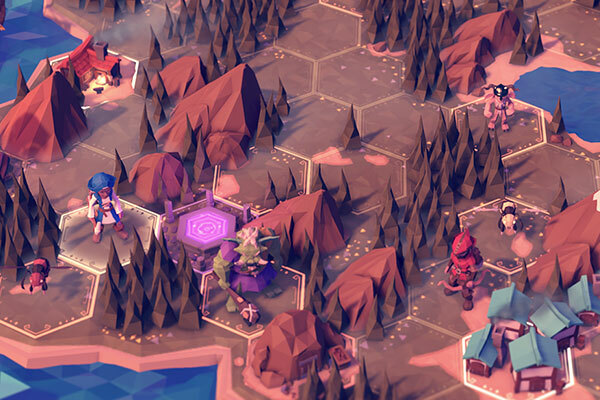 IronOak Game’s For The King is a strategic, difficult, turned based RPG with a deliberate low-poly style. 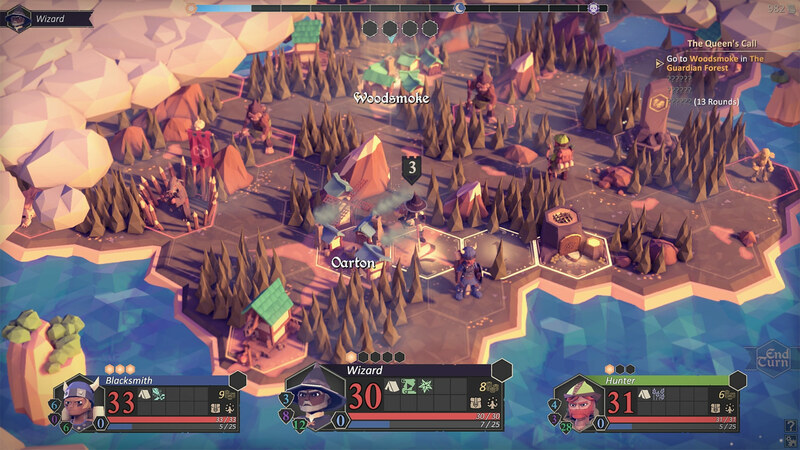 We spoke with IronOak to discuss the art, design, and multiplayer aspects of their game, as well as the challenges and expectations of early access games. My name is Gordon Moran, I’m the Art Director on For The King. 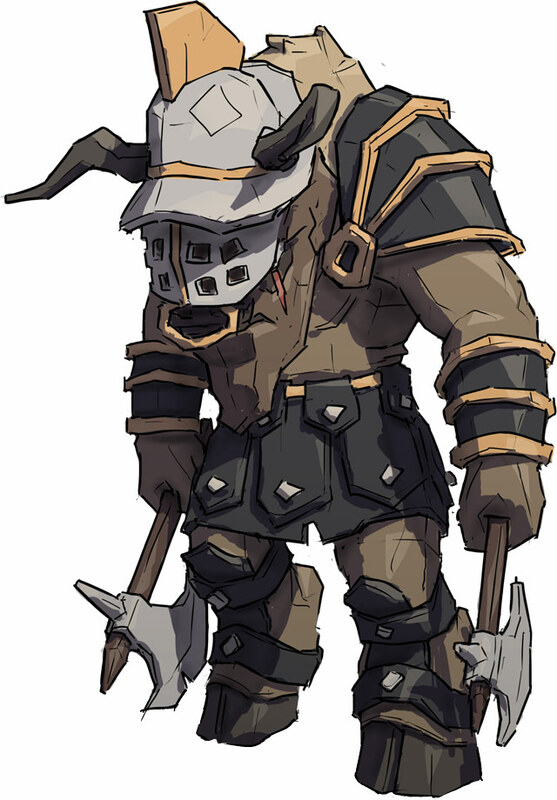 The art style in For The King falls under the broad categories of “low-poly” or “papercraft” art. More accurately, it could be called faceted art as the goal is to highlight the individual polygons by purposely maintaining hard edges. This makes everything seem as though it’s chiseled out of wood or constructed with paper. A big part of this art style is to reduce noise, so very few textures are used on the models in game to give everything a clean look. We rely heavily on lighting and rendering techniques to make the world seem tangible like you’re looking at a real life miniature diorama. 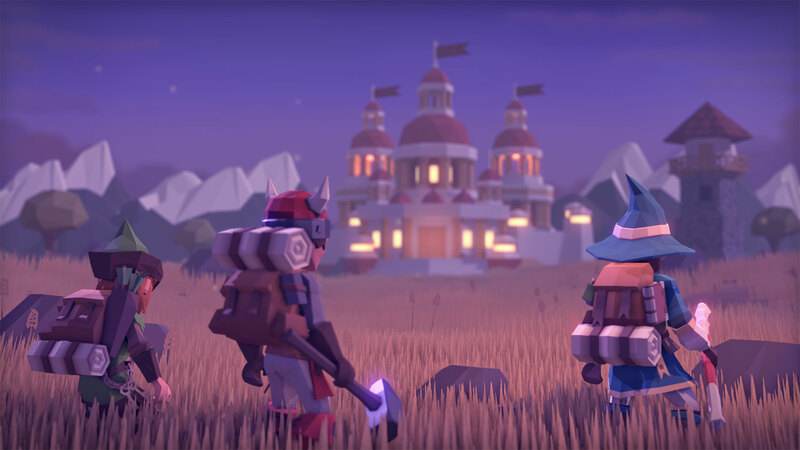 Aside from it being a nod to the first generation of 3D games, the main reasons for using the low poly style are visual clarity and production speed. 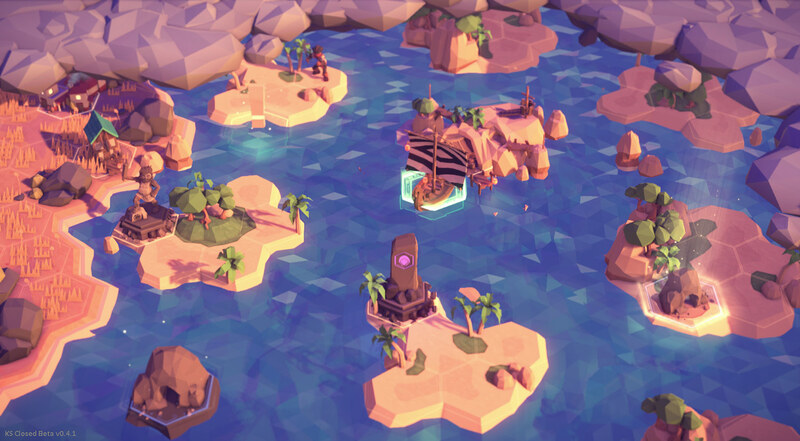 A lot of games focus on detail and realism and can be visually very noisy, whereas low poly artwork has very defined lines and distills individual objects down to their bare minimum. This produces a unique looking image that stylistically feels fresh and clean. 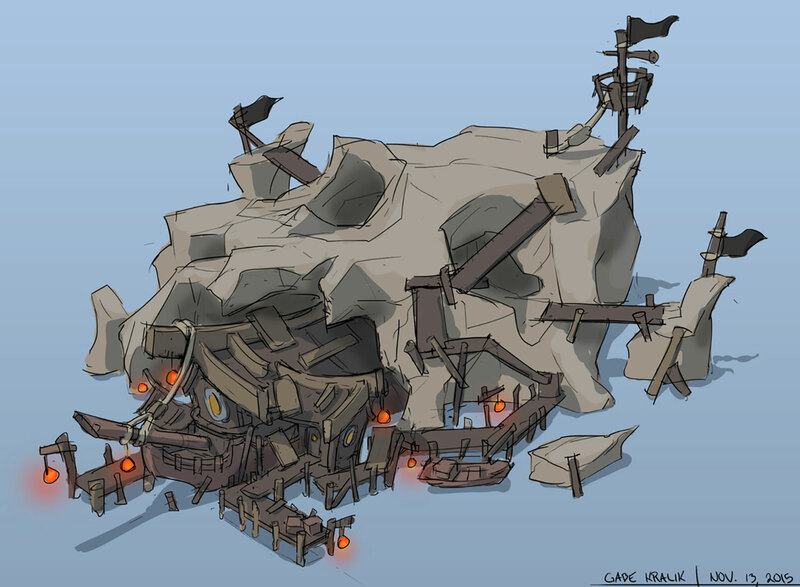 Assets can be made extremely quickly in this style which is important for a procedural game such as For The King. Color plays a large role in For The King. We wanted each realm to feel visually distinct from each other, and we largely rely on color to achieve this. Each realm has a unique color scheme and style that conjures up different emotions as you progress through the game. 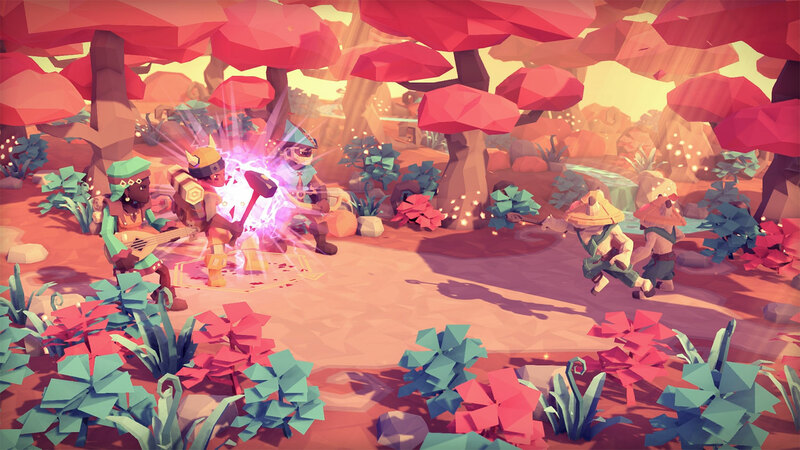 The goal was for players to embark on an emotional and visual journey as they experience the highs and lows of fantastical adventure. Speaking of the lows, For The King is a very challenging game where the player is expected to fail many times before finding success. While this is a critical part of making the experience memorable, we were wary of it feeling too dreary. Despite failure and dying, we wanted the land of Fahrul to be a place the player looked forward to returning to. 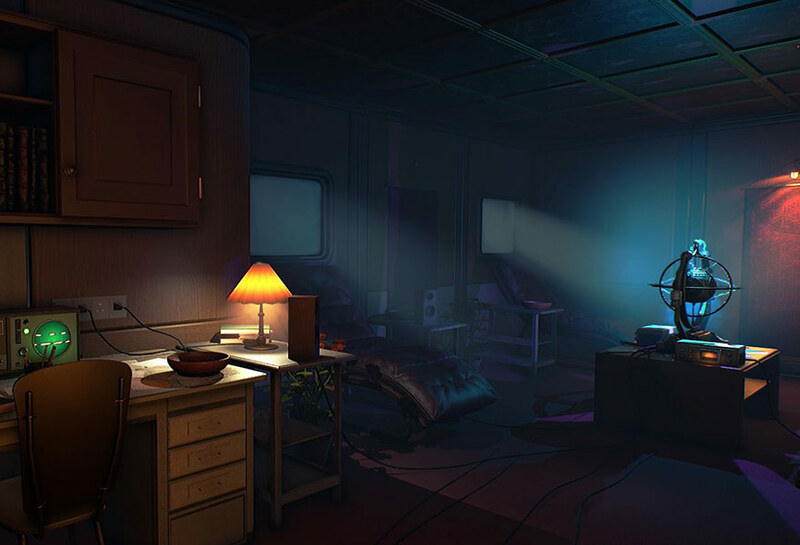 We used color and stylization to help brighten the mood and create an inviting world, which in turn helps balance out the brutal nature of the game. We wanted the players to project their own emotions onto the characters, not vice versa. We purposely avoided giving the characters too much individual expression so they instead serve as a blank canvas for the player’s emotions. Each character does, however, have subtle unique animations that make them feel like a unique individual. Basic rules include flat textures, hard edges, and cartoony proportions. It’s been a constant learning process and evolution in terms of style over the three year period For The King has spent in development. However, having a tiny team helps maintain consistency in the art. By far the biggest challenge in working with this style is forgetting everything you’re used to as a 3D artist. On past titles and personal work, we tend to smooth out rough edges, use photographs or detail paintings for textures, and rely on complex shaders to add high levels of detail. In eliminating the need for these practices, it forces you to focus much more on stylization, shape, and color to add a similar amount of visual interest. You have to keep asking yourself, what is the minimum amount of detail I can use to convey the meaning of this object? What features define this object and which features can I omit? It’s a very fun and liberating style to work with but requires a vastly different approach than more traditional 3D art. 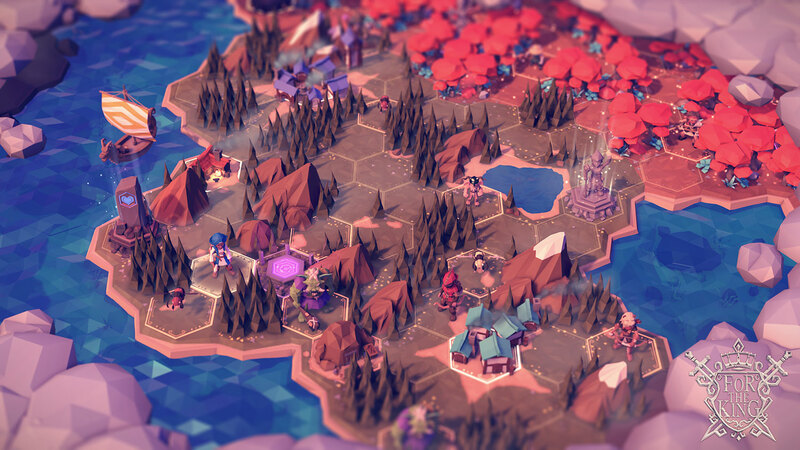 For The King uses procedural map generation to construct the world, so every play through the layout of the map and the elements within it are different. The one thing we wanted to do was make each realm have very defined borders and feel visually distinct from its neighboring realms. Apart from using distinct stylization and colors, one way we achieve this is through the varying sizes of each realm. The Golden Plains feels like a vast and open land whereas the Poison Bog feels small and cramped. We also employ rules in our procedural map generation that has you encountering the more dangerous and less inviting realms near the end of the game, so despite it being random, there’s still a sense of progression and escalation in each adventure. The overworld map shows various locations and encounters which are all procedurally driven by the story. It shows you various points of interest, lurking enemies, and quest goals. A big part of For The King is that you have to be aware of your surroundings. It’s up to the player to scout and spot locations or potential encounters that can be beneficial or potentially dangerous. Virtually all the elements of the overworld map are intractable. 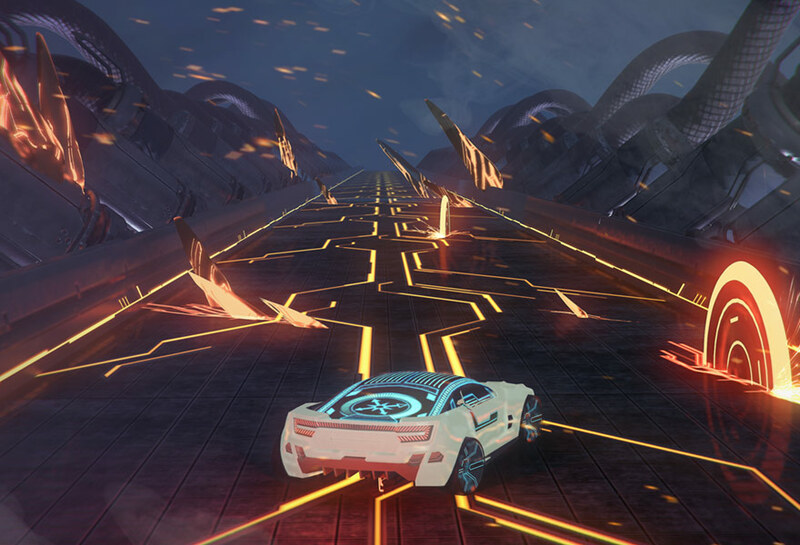 Landing on an enemy’s hex will zoom the camera into a diorama and initiate combat. Other encounters will present the player with multiple options that can result in positive or negative outcomes. Towns can be visited for picking up much-needed supplies, visiting a healer, even picking up a side quest or two for some extra rewards. Last but not least, any of the visible dungeons on the map can be visited and explored. These aren’t for the faint of heart, however, as once entered they can only be escaped by reaching the end of the dungeon. The overworld map is roughly 50 x 35 hexes. Movement depends on terrain type, weather, and a character’s speed. On average, a character can move roughly 4 hexes per turn. The overall size of the map is an important factor in how long each game will last. It’s a big enough world that you may not be able to explore every last bit of it but not so big that travel is laborious. Various hidden events and locations are scattered throughout the world so it needed to be a certain size to not feel cramped and allow for exploration. The world is completely open and the player is free to travel to any realm in any order. The story will guide you through different realms, but ultimately the player chooses their own path. 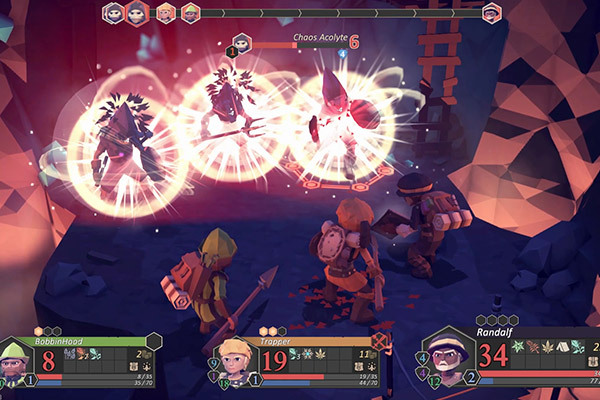 Some realms may contain more difficult enemies and challenges, however, so players must decide carefully if they’re ready to begin exploring a new realm and make any necessary preparations to do so. 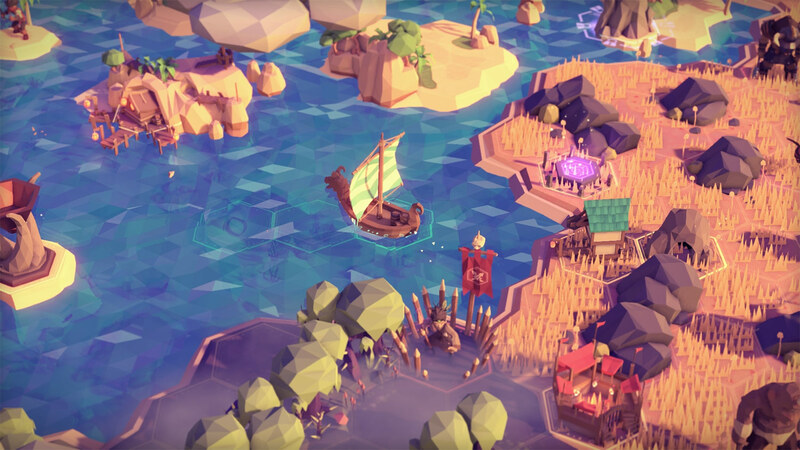 Players start off on foot but after some time earn enough money to afford a boat at which point the Rogue Isles can be explored. Typically the world is separated into two continents so a boat will be necessary to reach the later realms, just beware of the Mighty Kraken. Later on even more exotic forms of transportation become unlocked as you near your final goal. 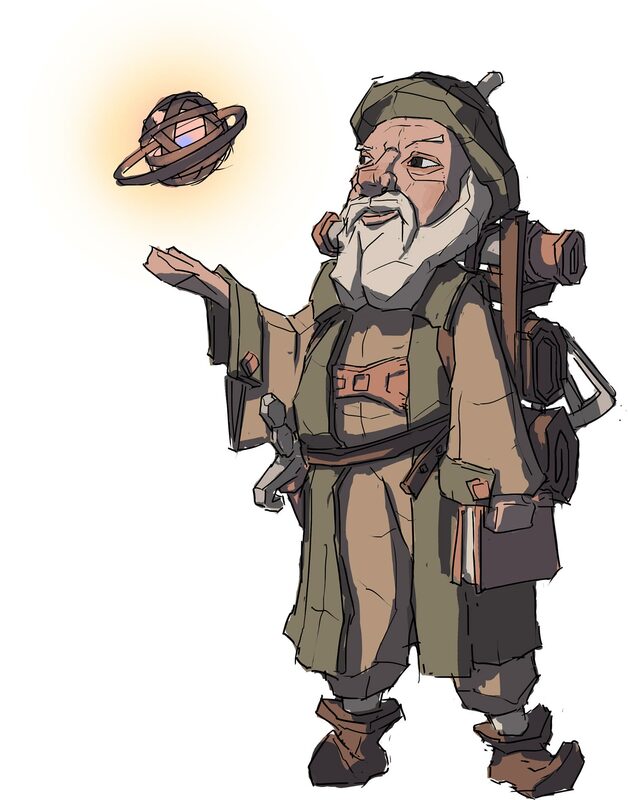 We also give the player many additional ways to traverse the land including teleportation and portal scrolls, herbs which can extend your range, and alluring pools which serve as fast travel between locations. 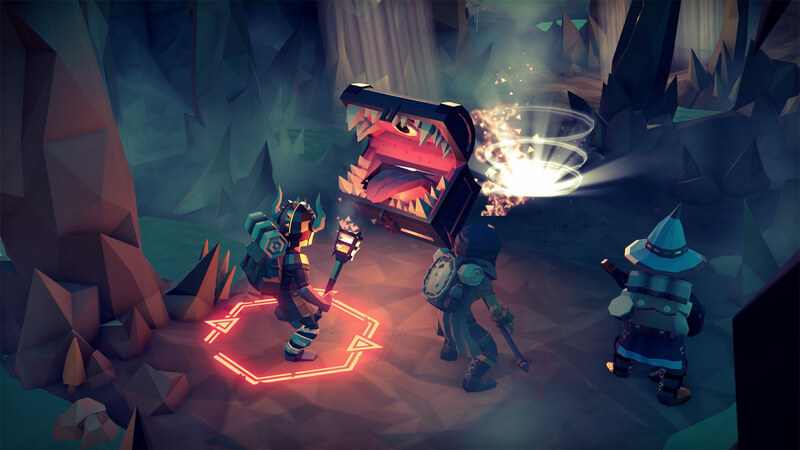 Players will need to use a variety of skills and items to avoid potential traps and dangers present on the overworld map during their adventure. 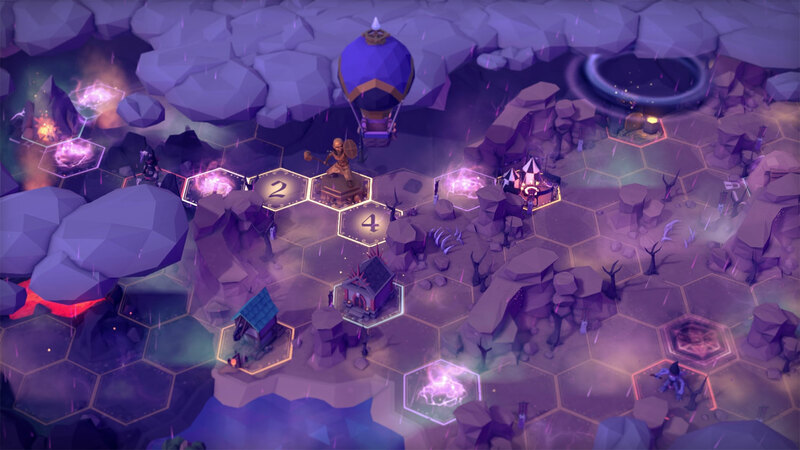 Each realm has a unique style, geographical and cultural aesthetic, and color scheme which helps dictate the potential enemies and encounters the player will come across. These, in turn, present unique challenges which give each realm its own personality. For example, the Asian inspired Burning Forest is home to devious magical critters whereas towering giants roam the ancient Roman inspired Golden Plains. After spending a lot of time in a realm we wanted the characters to visibly reflect the challenges and experiences they’d been through, so even the armor and loot you’ll find is tied specifically to the realm you’re in. 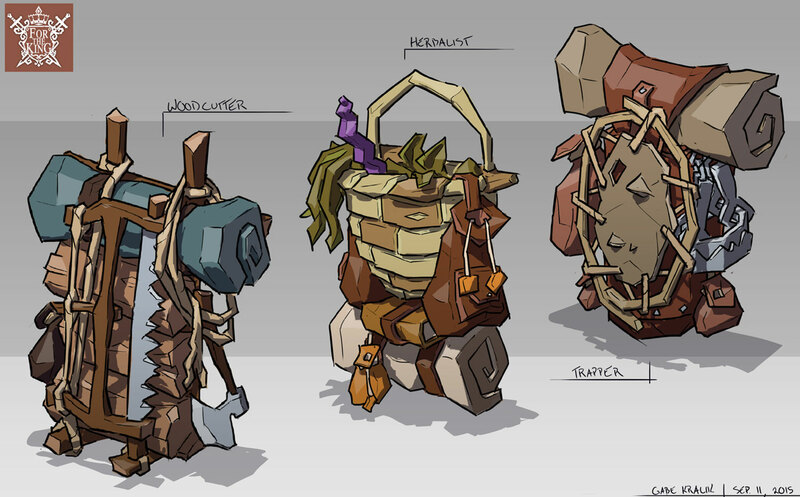 A party who has been exploring the ancient Egyptian inspired Parched Waste will visibly look much different than a party who’s coming out of pirate inspired Rogue Isles for example. These visual cues are key in telling your unique story. For The King was designed to form a board game prototype and maintaining that vibe was important to us. 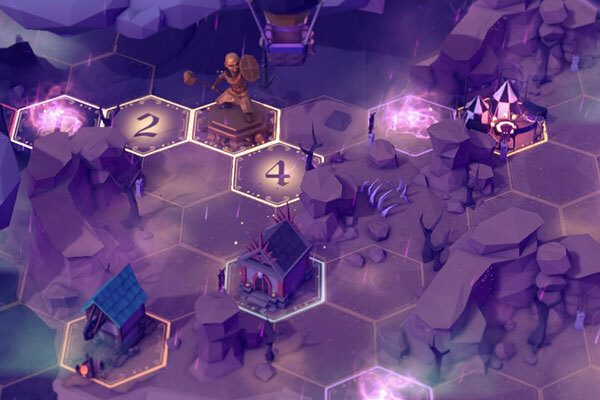 While there are many ways to accomplish this, we decided to go with a hexed based map for several reasons. Hex based maps allow for a huge amount of map variation and layouts and provide better freedom of movement than square tiles. This is important as overworld travel is very tactical in nature. The relative position of your party members determines who will be included in battles and who may enter a dungeon along side you. From the outset, we wanted to go with a slightly more traditional fantasy style that paid homage to the RPGs that we grew up with. As such, expect to encounter the traditional array of beasts like wolves and bats as well as more traditional monsters like trolls and ogres. Underground or during nighttime is when you’ll encounter nasty things like skeletons and demons. 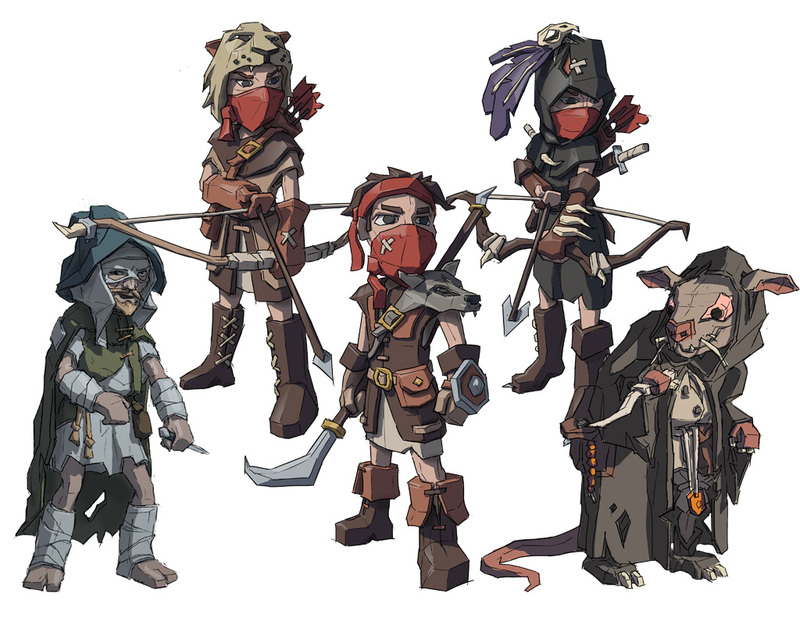 You’ll also run into other humans in the form of bandits, thieves, and even wild mages. Sprinkled in with the more traditional creatures each realm tends to have a few more unique enemies like forest beastman, feline mystics, and bogglings. And of course, no game would be complete without owlbears, gelatinous cubes, and mimics! It was a team effort to choose which creatures would make it into the game, and the list is ever expanding. We made sure that each team member’s favorite monster made it into the game. 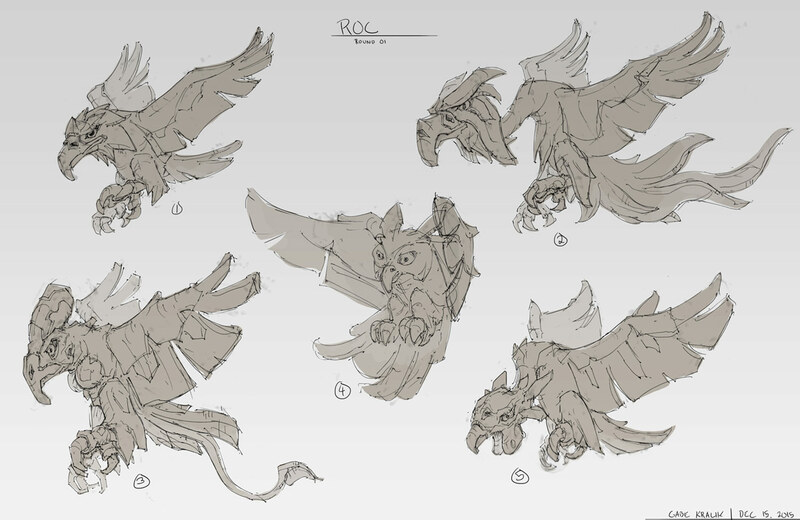 We stuck with more traditional creatures so that helped a lot with their design as there’s a wealth of reference material available out there. After finding a baseline of each creature, they’re then stylized to fit into the world by exaggerating proportions and colors. We often refer to the creatures as cute but deadly. 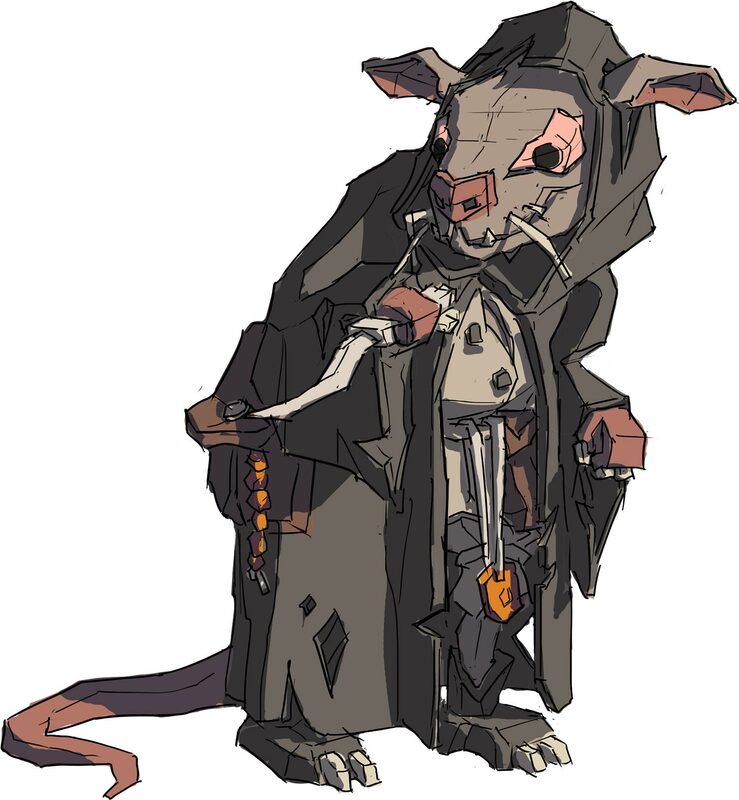 Although our monster manual is heavily based off traditional creatures we wanted to have a unique spin on each one, often adding a bit of humor into their design to stick with our “cute but deadly” mantra. 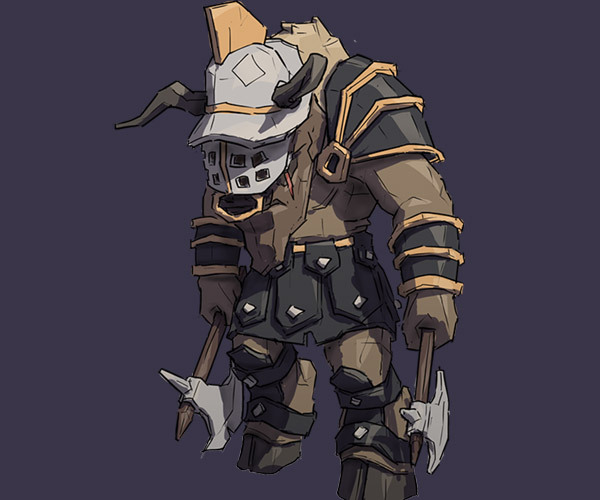 For instance, instead of a cyclops, we have a triclops (with 3 eyes), and our bisontaur replaces the traditional minotaur. 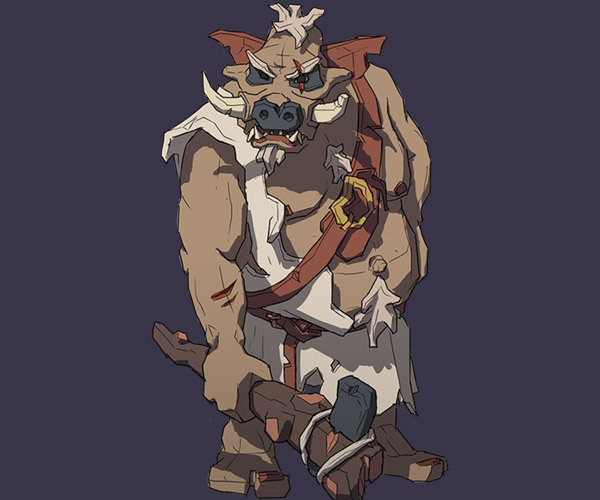 Our version of the owlbear has an owl’s skinny legs and feet and our troll is a blend between a traditional troll and a wild boar. These small changes help keep things fresh while maintaining the nostalgia. 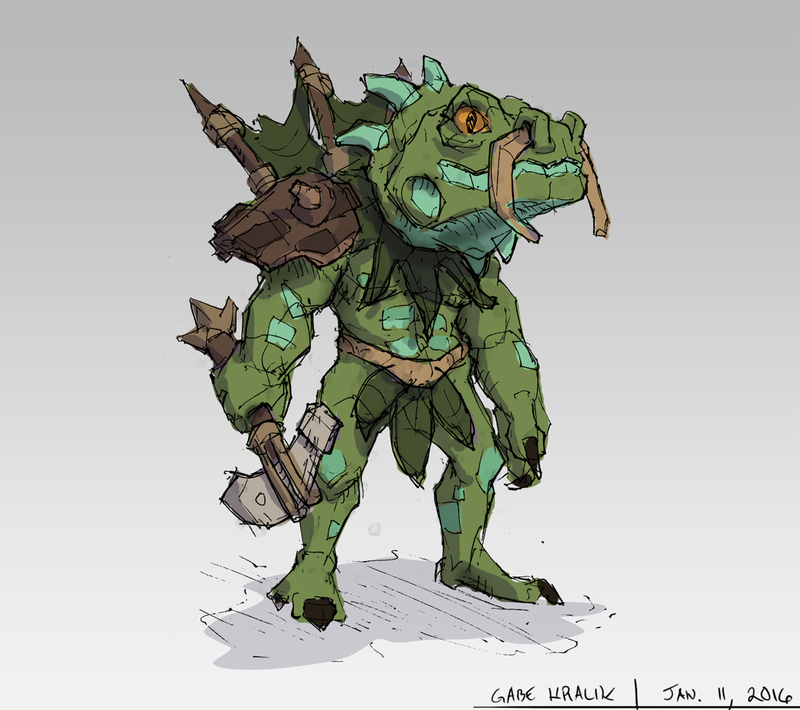 Over the course of the game, enemies tend to get bigger and meaner. Not only visually, but behaviorally too. 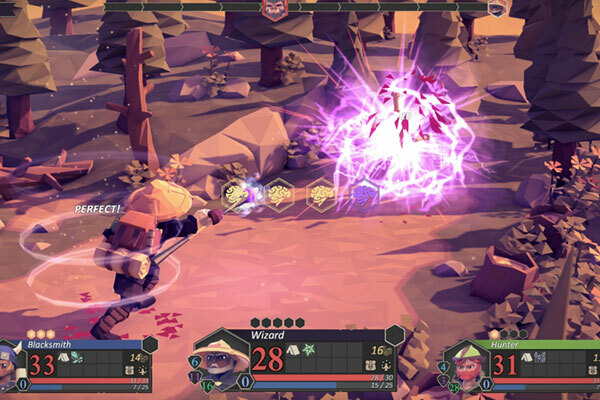 They’ll use more damaging spells or have a better defense in the late game so the player must continually adjust their tactics in order to survive. Technically we were limited by the sheer variety and amount of content needed to make each play through feel unique. 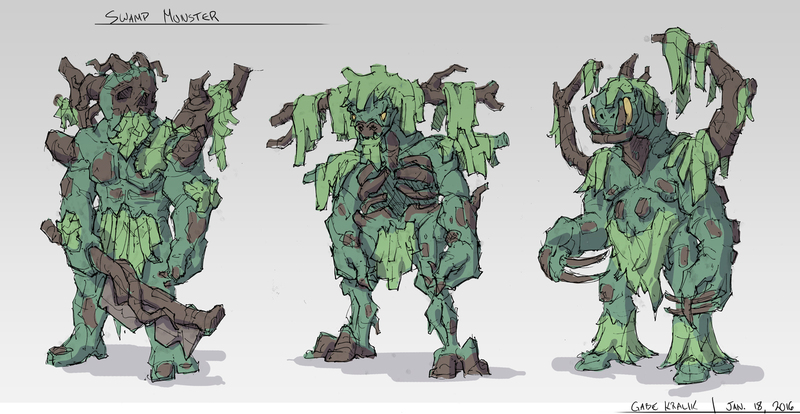 As a tiny team with only one full-time artist, we needed to streamline the monster creation process to allow for the necessary volume and variation in modeling and animation. 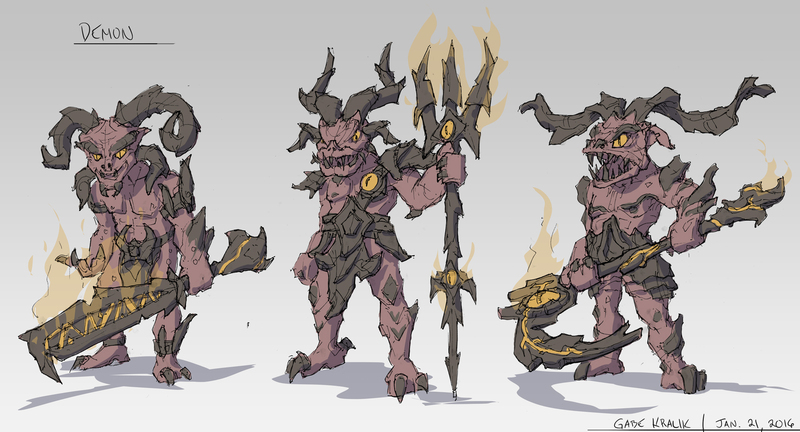 This meant settling on three basic rigs, which in turn define the relative size and proportions of each enemy. This was necessary so that we could share animations between enemies and avoid having special animations for each enemy. Over time we ended up adding several more unique rigs to accommodate for creatures like birds, quadrupeds, and jelly cubes, but the vast majority of our enemies use one of the three basic rigs. 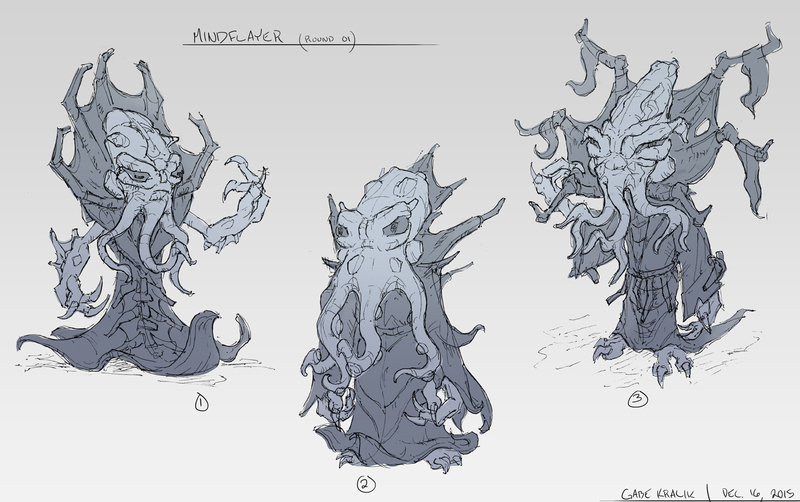 By far the hardest creature to design was the Mighty Kraken. He’s a special enemy that appears only in the sea. He takes up the spots of three individual enemies and we even had to build an entire combat diorama just to accommodate him. It was a lot of work and a lot of special coding and animations had to be put in place in order to get it to work properly, but we think it paid off. 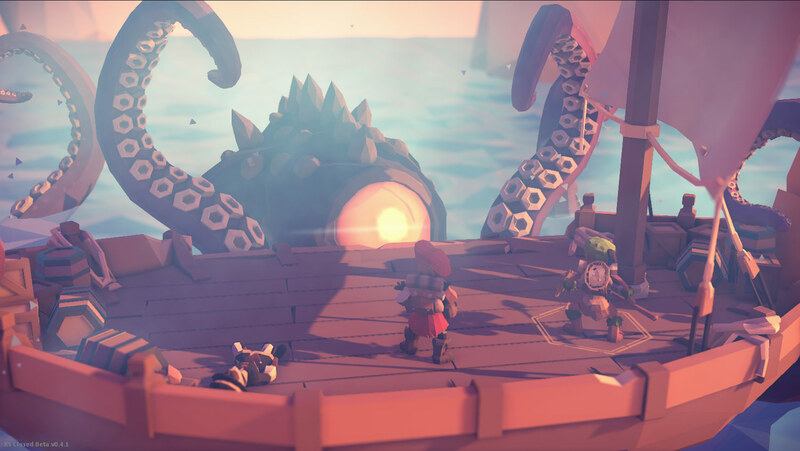 Encountering the Mighty Kraken at sea is a truly epic and memorable event. The most fulfilling aspect of creating the creatures in For The King was hitting the cute but deadly note. It helped set the tone for the entire game, the juxtaposition of humor and seriousness, elation and frustration, and of winning and losing. 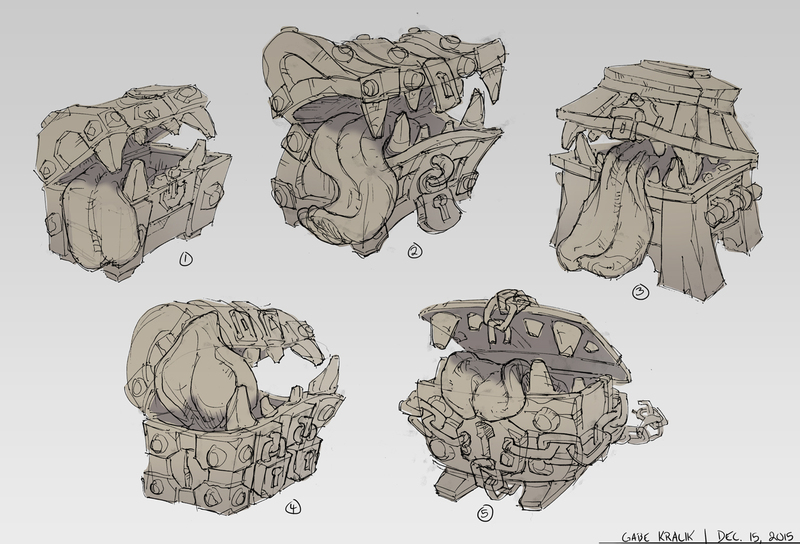 The mimic is probably my favorite creature of the bunch. It’s a cross between a dog and a treasure chest and it turned out perfect. It’s absolutely terrifying when it ambushes you but somehow looks adorable. 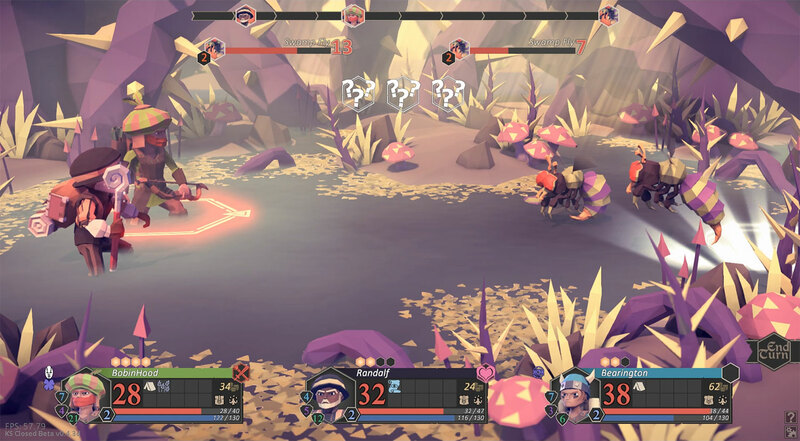 Combat in For The King is best described as quick and brutal JRPG combat. It’s turn based, with initiative being determined by your character’s speed. On your turn, you have several options depending on which weapon and items you have equipped. 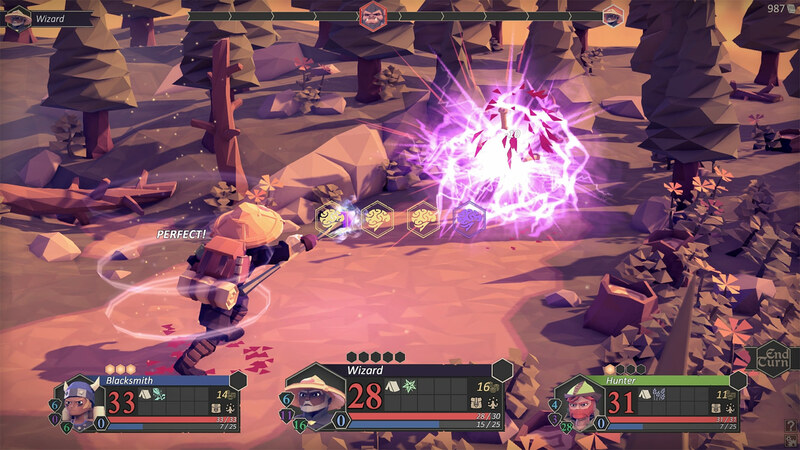 Combat begins when a player lands on an enemy hex or is ambushed in the overworld. Players and enemies within range will join into the combat so positioning your party members is key to having a numbers advantage. The range at which other players get drawn in depends on the terrain, weather, and weapon types. Players must choose to stick together for safety or venture out on their own to cover more ground. 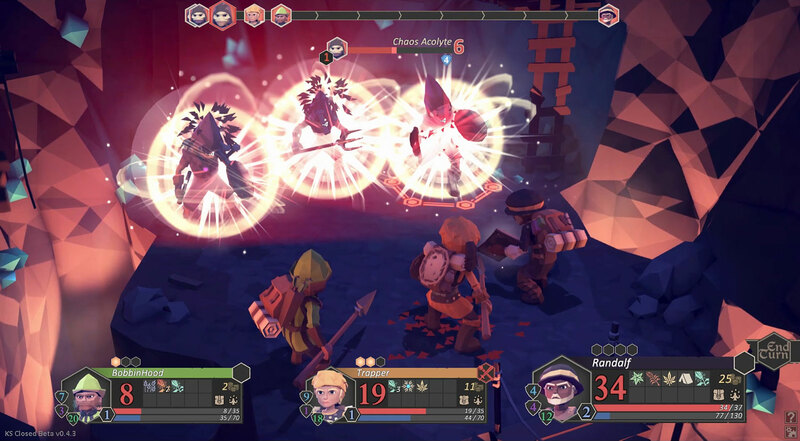 The various attacks and combat actions a player has available depend on their equipped weapon. Each weapon has anywhere from one to five different combat actions. You can choose to increase your chance of hitting with a well-placed shot or gamble on an extremely powerful yet inaccurate hit. Use the elements of ice, fire, and lightning to impart debuffs on the enemies. Or boost your party with defensive buffs and healing actions. Because each combat action is tied to the weapon your character is using, you’ll have to adapt your strategies to what is available each playthrough. 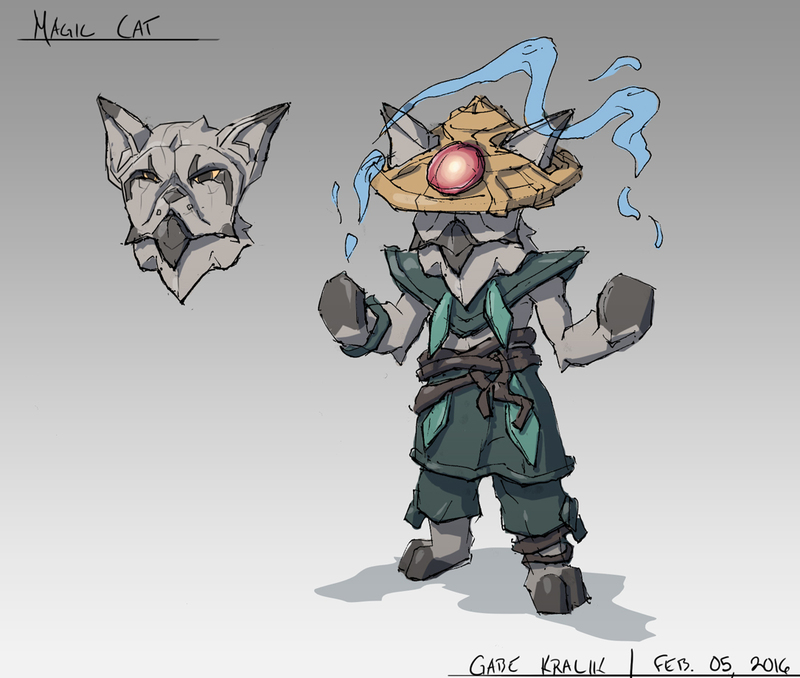 Each character has several innate passive and active abilities. 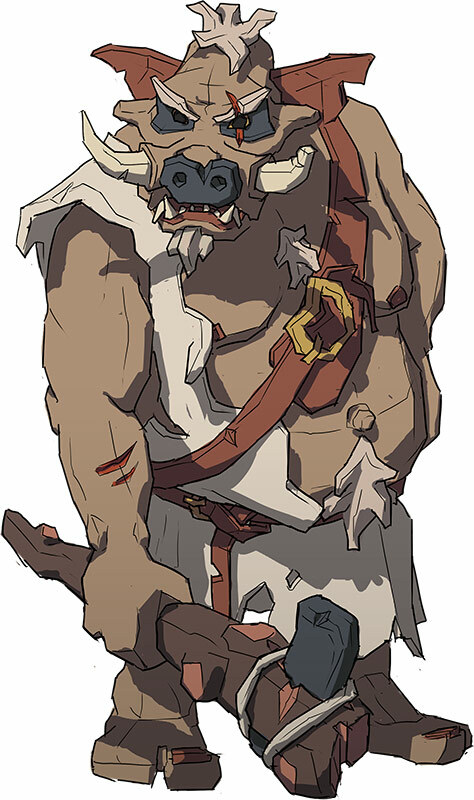 For example, the hunter excels at sneaking past enemies who block your path, the blacksmith has a chance to completely negate an incoming strike, and the herbalist has a chance to find herbs in the overworld or heal the entire party in combat. On top of these unique innate abilities, each character has unique stats which drive their accuracy with certain weapons and during certain encounters. Balancing of the difficulty is an ongoing thing. The game is meant to be hard but winnable, and we’re constantly flirting the line of being challenging and fun versus frustratingly difficult. One thing that was apparent very early on was that we’d need different difficulty levels as the game appeals to a wide range of players. This has relieved the burden of settling on a “perfect” difficulty level as players are now free to play at a level of their choosing. We rely heavily on player feedback and watching players stream the game to determine if new systems are fair and balanced. We’ve built a great community around For The King and are constantly listening and talking to the players for feedback. The combat system has evolved so much since the prototype but we’ve always been able to implement all the features and polish we design. For sure the most challenging part of the combat system is finding the sweet spot of quick yet brutal combat without constantly dealing with instakills or other unfair mechanics. 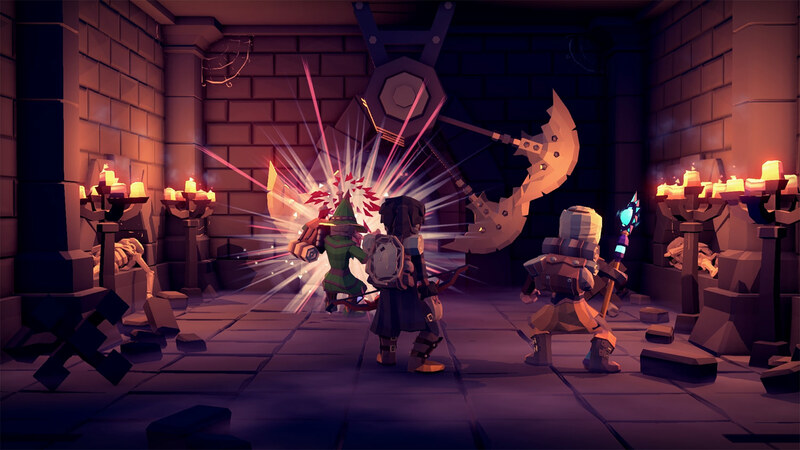 Because of the co-op nature of For The King, we decided early on that we didn’t want the combat to be too drawn out, just in case one or more of the players aren’t involved in combat. Eliminating down time on a player’s off-turn is super important to us. That means that every hit has to count, for both players and enemies. Combat can often be decided by only a few blows, which makes it both exciting but very difficult to balance. Using spreadsheets and math lays a great foundation for figuring out appropriate values, but watching people play in real-time is the best way to finely tune these values. For The King can be played cooperatively online or offline (couch co-op FTW!) and of course single player. Because it started off as a board game prototype, multiplayer was designed from the beginning. It was important for us to retain the board game vibe, so most of our decisions, including multiplayer, are guided by this. We were fortunate enough to have a successful Kickstarter which meant we had thousands of players willing to do early online testing. This was invaluable in finding bugs and perfecting the online experience before For The King was available to the public. Now in Early Access, we’ve expanded the player base significantly and are further tuning and refining the experience. Again, I can’t stress how grateful we are to our amazing community for all their help, feedback, and patience as we refine and polish the multiplayer experience. The single player experience and multiplayer experience are fundamentally the same things, so tuning for one mode ends up tuning the other. The hardest part of implementing multiplayer was dealing with player downtime and online only quality of life features. Because of its turn based nature, we didn’t want players getting bored when it wasn’t their turn. Giving them things to do like browsing shop inventories or trading items with each other was key. The need for many of these features wasn’t apparent until we could watch how players were actually interacting with the game. For other features, we knew we needed them and just needed time to implement them correctly. Early Access has been wonderful for this as we’re able to get people playing early on while we’re still working on features and polish. Many of these features also carry over extremely well into the single player experience which is an added bonus. 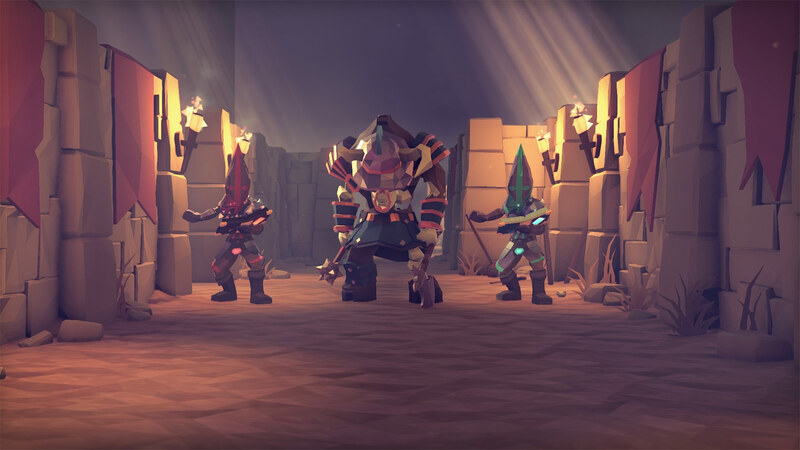 Early Access was the natural next step after a successful Kickstarter campaign. Being a small team we don’t have access to a large QA team and as such rely on players for feedback and suggestions. We wanted to slowly expand the scope of players first through our Kickstarter alpha, then open beta followed by Early Access. Each step along the way the game becomes more polished until it’s finally ready for a full release. There’s also the issue of funding. Our Kickstarter campaign was able to cover basic costs throughout early development but our team is still to this day running off of our own personal savings. It’s a passion project for us, so we’re happy doing so, but there are many costs associated with running even a small game studio. By launching into Early Access we were able to start generating studio income a full year before we might have if we waited for full release. This, in turn, has allowed us to inject even more funds into the game itself and FTK is now better because of it. Perhaps the most challenging aspect of Early Access is that a subsection of gamers, despite the Early Access tag, expect a fully polished and finished product. The vast majority of players understand what they’re buying into and enjoy taking part and helping out with the development of the game, but there’s always those that don’t quite understand how Early Access works. We hate disappointing players and it would be understandably frustrating if you were expecting a fully polished experience, so we totally understand where they’re coming from. However, it still pains us to see a bad review or read a negative comment about something that clearly hasn’t been finished or implemented yet. Even though we’re all industry veterans, working together in such a small team has forced us to all wear many hats. We’ve all expanded the scope of our daily activities and learned so much more about the game development process in general. Working at a larger company you’re often sheltered from many of the intricacies of development so overall I’d say we have a much better understanding of the entire process now. This extends to non-development activities too like marketing, community management, legal, and running a studio. We plan to continuously add content and polish to FTK. This includes new realms, encounters, loot, enemies, and playable characters as well as entire new game modes. We like to think of FTK as more of an RPG system than a static game. That means we’ll be constantly adding new adventures and different online modes to keep things fresh. We plan on supporting FTK for the foreseeable future. We thank Gordon Moran for talking about the development process on For The King.